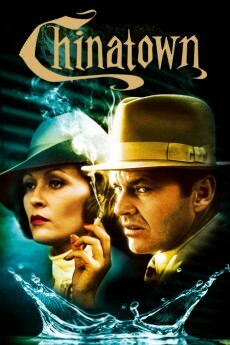 Chinatown is a 1974 American neo-noir mystery film, directed by Roman Polanski from a screenplay by Robert Towne, starring Jack Nicholson and Faye Dunaway. The film was inspired by the California Water Wars, a series of disputes over southern California water at the beginning of the 20th century, by which Los Angeles interests secured water rights in the Owens Valley. The Robert Evans production, a Paramount Pictures release, was the director’s last film in the United States and features many elements of film noir, particularly a multi-layered story that is part mystery and part psychological drama.